Austin Healey 3000 from 19664 - 68 for 40966 Distributor. New Distributor Cap. AUSTIN HEALEY SPRITE. POINTS PLUGS ROTOR ARM & CONDENSER. TUNE UP KIT. PART NUMBER: CSD0514585. Alternative advance curves can be selected to suit your engine’s state of tune making them ideal for modified engines. Curves are easily selected using a screwdriver in a rotary switch, with a bright flashing LED indicator to show the selected curve all concealed underneath the distributor cap. Austin Healey Rana/Bug Ojo Sprite Mk1 1958-61 - tapones de enchufe de ángulo campeón""
Vacuum unit to fit Austin Healey 100S. These are absolute top quality reproductions that perfectly match the originals. Lucas 422673. Alternative advance curves can be selected to suit your engine’s state of tune making them ideal for modified engines. 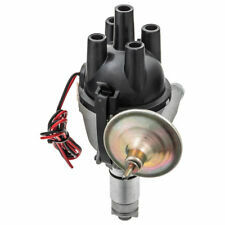 Curves are easily selected using a screwdriver in a rotary switch, with a bright flashing LED indicator to show the selected curve all concealed underneath the distributor cap. A fully reconditioned distributor to fit the Austin Healey 100S. Very, very rare! Replaces 422905 54412472, 54414514, 54417214, DC1. Austin Healey Sprite Mk I. For Lucas Distributors 40561D, H/K, J, L, 40656A/B, E, D/F & 40919 25D4. "Frog Eyed" ~ "Bug Eye". Austin MG Morris Riley Wolseley. An original item found in a garage clear-out. 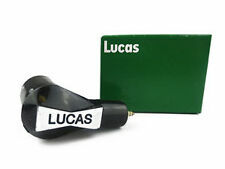 For use with Lucas distributor 40520 Model DM2P4. AUSTIN HEALEY 100M. replaces:- Lucas 422238. LOW TENSION LEAD. Tip - Always clean anvil faces before fitting. (number stamped on distributor body). Top Quality. Austin Healey 3000 Mk 3. (This can be done in small sections of tube). ADVANCE & RETARD TUBE. replaces:~ Ducellier 599192 ~Innocenti 31322323 631322323 ~Land Rover RTC3472 RTC3525 ~Lucas 418654 419022 419774 420302 420303 421267 421487 421656 422849 423871 54410009 54413002 54416303 54418773 54421799 62412079 C1 C11 C6 DCB101C GL121 GL601 ~ Rover 269988. Austin Healey 3000, griego Plas 3 litros, tapa del distribuidor, nos. Vanden Plas Princess 3 litre, 1962-1964. Austin Healey 3000, 1962-1968. Austin Westminster A110, 1961- 1968. Pt No GDC101 ( Lucas ref no 54412474 ) and this fits the following cars fitted with the original Lucas type side entry 25D distributor. For Lucas Distributor 41198. 1.3litre, 1275cc. Austin Healey Sprite Mk IV. Austin Sprite Mk IV. Lucas 418654, 419022, 419774, 420302, 420303, 421267, 421487, 421656, 422849, 423871, 54410009, 54413002, 54416303, 54418773, 54421799, 62414079, C1, C11, C6, GL121, GL601 DCB101C. Austin Healey Sprite Mk4. Austin Sprite Mk4. Air & Oil Filter Kit. (2 Air & 1 Oil Filter). Air Filters for use with 1 1/4" SU Carburettors. NOT included. AUSTIN HEALEY 3000. NEW DISTRIBUTOR CAP. Austin Healey Sprite Mk3. Air Filters for use with 1 1/4" SU Carburettors. Air & Oil Filter Kit. (2 Air & 1 Oil Filter). NOT included. New & Unused. Austin Healey Sprite. Mk II & III. Air & Oil Filter Kit. (2 Air & 1 Oil Filter). Air Filters for use with 1 1/4" SU Carburettors. NOT included. Austin Healey 100 & 100M (1956). 100M (1956) - 40422 DM2P4 - ONLY. for use on Lucas Distributors. As you can see from the photo, the set on the left is the original 420196 and the set on the right is the alternative. AUSTIN HEALEY SPRITE. 1958 TO 1971. Type 25D, 25D4. 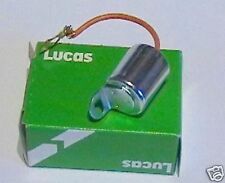 Lucas 40510 Distributor. Austin Healey Sprite. Authorised UK Distributor of Lucas Electrical Parts. 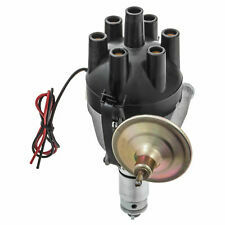 with all internals, distributor cap, points, rotor arm, vacuum advance, etc. 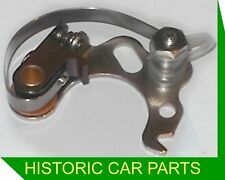 Austin Healey 3000 Mk 2. for use on Lucas Distributor 40662A/D - DM6. replaces Delco CS8008 ~Ducellier 660960 ~Lucas 420197 CS16 DSB116C. (made to original specification). to engine 29F-H3562. It should not be altered / tampered with/used. 40581 - DM6, A222. Austin Healey 100 - 6. for use on Lucas Distributors. It should not be altered / tampered with/used. NOT included. Distribuidor Lucas 40510. Manufacturer Part Number 40510. Austin Healey Sprite. Autorizado Distribuidor Reino Unido de Lucas Piezas eléctricas. genuina nuevas acciones lucas. Part Manufacturer Lucas. con todos los componentes internos, tapa del distribuidor, puntos, brazo del rotor, avance de vacío, etcetera. 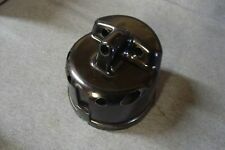 Austin Healey 3000 from 1963 - 1964, Side entry cap for 40920 Distributor. New Distributor Cap. Austin Healey Sprite Mk I. WATER REPELLING KIT. DISTRIBUTOR CAP. To fit to Distributor Cap & Cover. Remove the Cap from the distributor. Remove leads from the Distributor Cap. (PVC Covers for Cap & Coil). 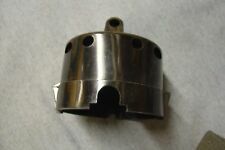 This part is manufactured by Lucas and is suppliedNEW and boxed. For reference, the Part No. The Lucas Part No. is DSB116C. AUSTIN HEALEY 100-4, 100-6 ; YEARS 1953-1963. Part number for reference: GCS2102. AUSTIN HEALEY 100-4, 100-6 ; YEARS 1953-1963. For Lucas Distributors 40772, 40773 & 40919. Austin Healey Sprite Mk1. replaces :~ Lucas 423153, 54419946, cs1, cs5, DSB101c. NOT included. Austin Healey 100 & 100M. for use on Lucas Distributor 100 - 40495A, 100M - 40422B, 40520A DM2P4. Lucas 418654, 419022, 419774, 420302, 420303, 421267, 421487, 421656, 422849, 423871, 54410009, 54413002, 54416303, 54418773, 54421799, 62414079, C1, C11, C6, GL121, GL601 DC. AUSTIN HEALEY 3000. GENUINE LUCAS ROTOR ARM. AUSTIN HEALEY 3000 SPORT MkIII ; YEARS 1964-1968. 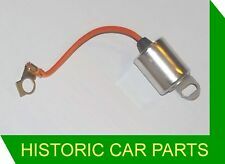 This is designed for the 6 cylinder engine with Lucas 25D6 or 22D6 distributors with 'clip on/push on' HT/ignition leads. 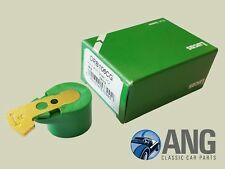 Austin Healey Sprite Rana Bug Ojo Mk 1 1958-61 - brazo de rotor para Lucas Dist 40561. Austin Healey Sprite Mk1. For Lucas Distributors 40561D, H/K, J, L & 40656A/B, E, D/F. Replaces: Lucas 400051, RA1, DrB101C. "Frog/Bug Eye". Top Quality. NOT included. Austin Healey Sprite Mk2. for Lucas Distributors 40656D&F, 40561J&L, 40752A ~ DM2P4. replaces:~ Lucas 423153, 54419946, cs1, cs5, DSB101c. This is a set of. NOT included. Austin Healey 100 & 100M. for use on Lucas Distributor 100 - 40495A, 100M - 40422B, 40520A DM2P4. replaces:~ Lucas 400051, 405468, DRB101C, RA1. Top Quality. It should not be altered / tampered with/used. 1.1litre, 1098cc. Austin Healey Sprite Mk1. Austin Healey Sprite Mk2. Austin Healey Sprite Mk3. For Lucas Distributors 40561D, H/K, J, L & 40656A/B, E, D/F. Replaces: Lucas 400051, RA1, DrB101C. Top Quality. Se ajusta a esto Jaguar XKE 1964-1965. AUSTIN HEALEY 3000 1959-1967. Triumph TR4 1963-1965. Austin Mini Cooper S 1964-1965. Jaguar 3.4 y 3.8 1964-1965. BN7 & BT7 1961-62. BJ7 1962-63. for use on Lucas Distributors 40662A/D DM6 40920 & 40966E 25D6. Austin Healey 3000 Mk2. replaces:~ Lucas 418654, 419022, 419774, 420302, 420303, 421267, 421487, 421656, 422849, 423871, C1, C11, C6, GL121, GL601, DCB101C. FOR AUSTIN-HEALEY SPRITE III. 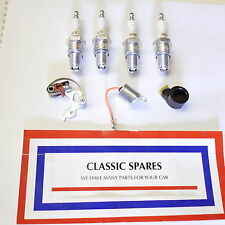 1964-1966 1.1 Petrol Convertible 56 bhp CRITERIA: B 200 F. This is an original quality part manufactured by Lucas. LAND ROVER. Rotor Arms. In this case, the Supplier will inform you as soon as possible. 1.4 The contract is subject to your right of cancellation (see below). Format of the Contract. 2.2 The goods are subject to availability. Austin Healey 3000. for use on Lucas Distributors 40662A/D DM6 40920 & 40966E 25D6. Replaces: Delco CR6062 CR6063 ~Jaguar JLM263 ~Land Rover 262704 RTC4542 ~ Lucas 407030 408355 415088 418726 60410566 DRB106C DRB126 DRB128 RA6. MG MGB 1.8 1767 70 4 Convertible 1966-1980. MG MGB 1.8 1777 68 4 Convertible 1966-1980. MG MGB GT 1.8 1777 68 4 Coupe 1966-1980. MG MGB GT 1.8 1767 70 4 Coupe 1966-1980. MG MGB 1.8 1798 71 4 Convertible 1975-1980.